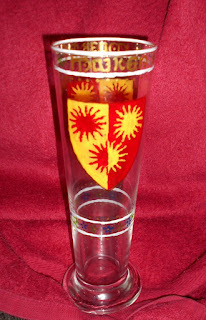 Gotvik's Wayfarer, for those who have moved away and we miss. St. Egon's Heart, for service. 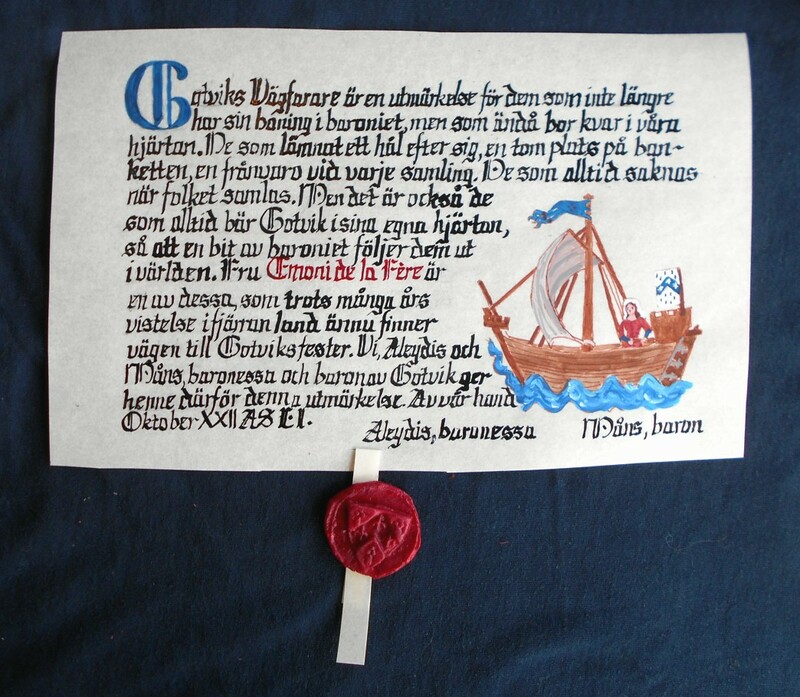 For Cis de Conway and Jacob Gareys. 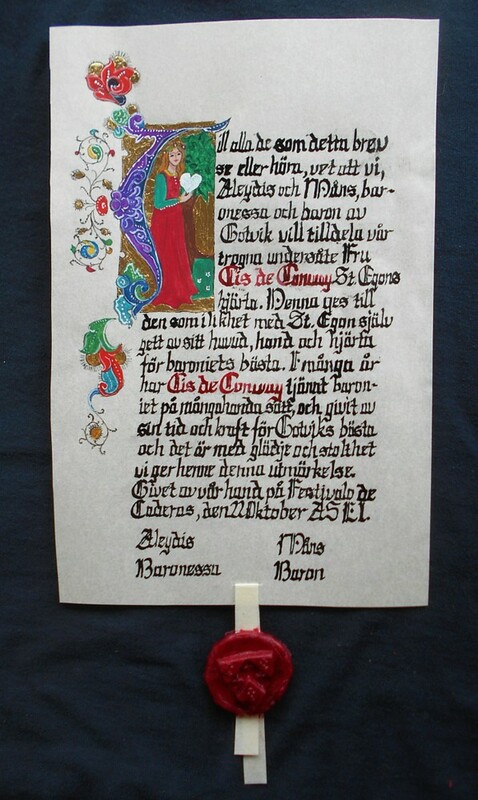 Award of Arms for Aerin of Varovjie. 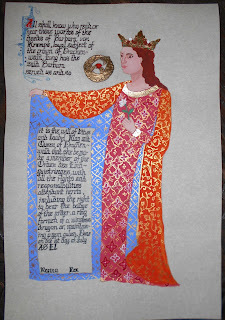 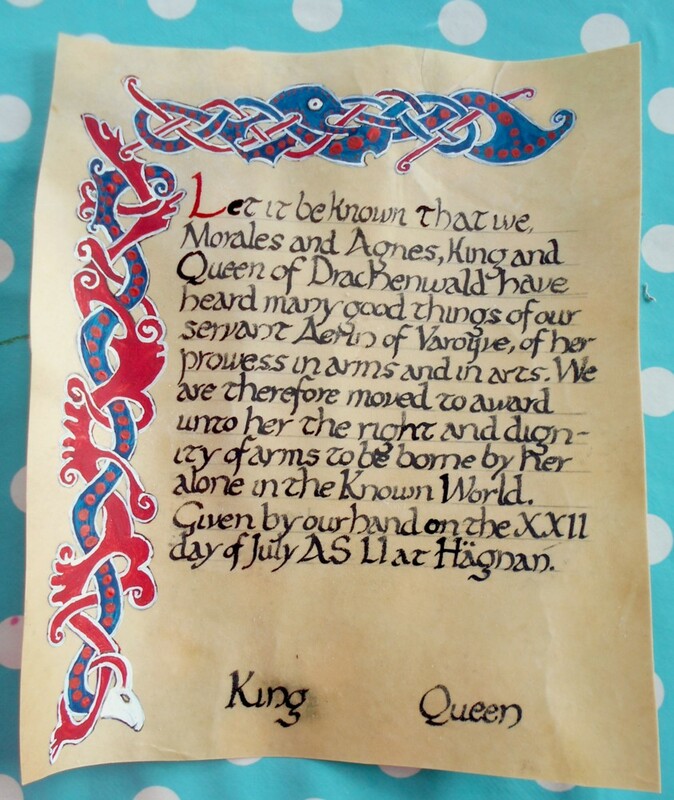 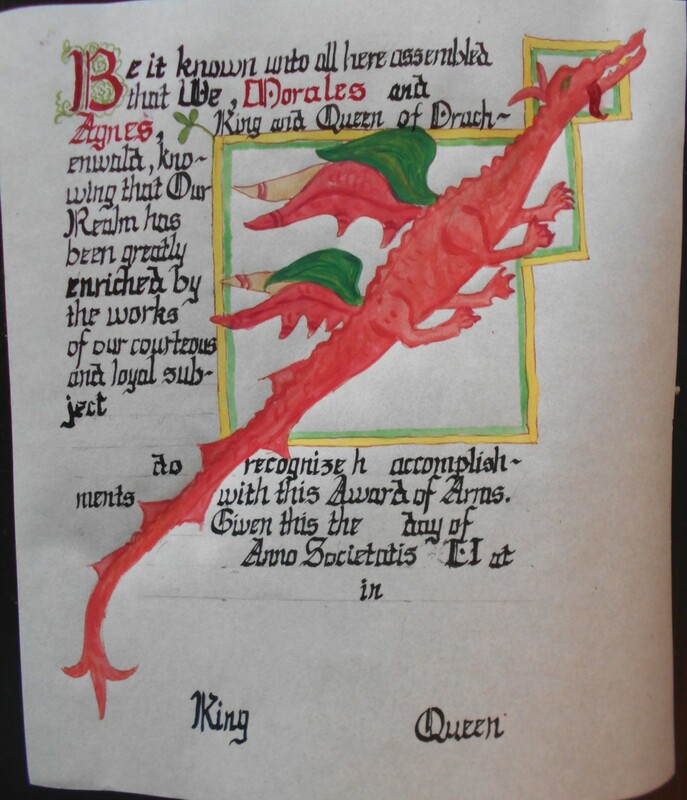 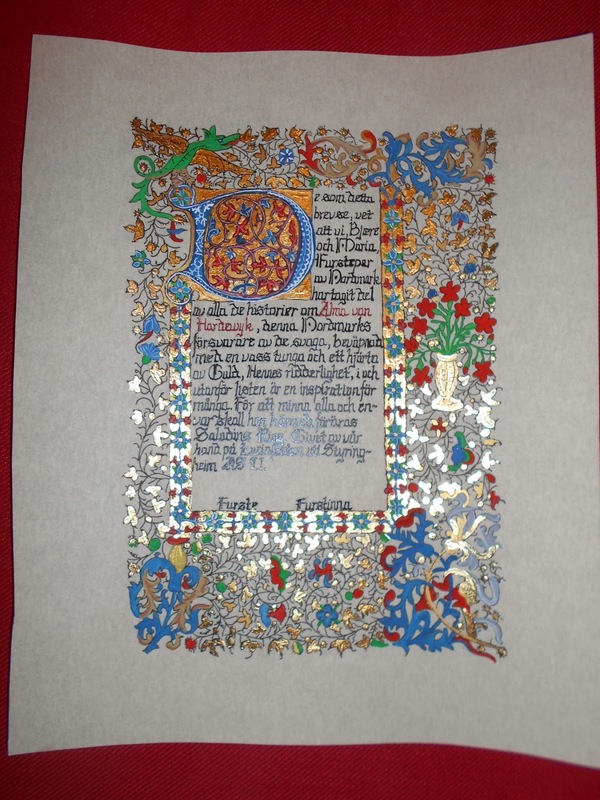 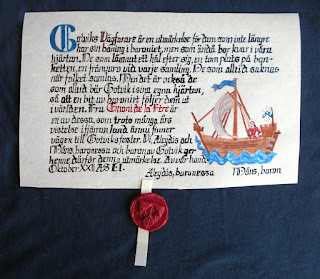 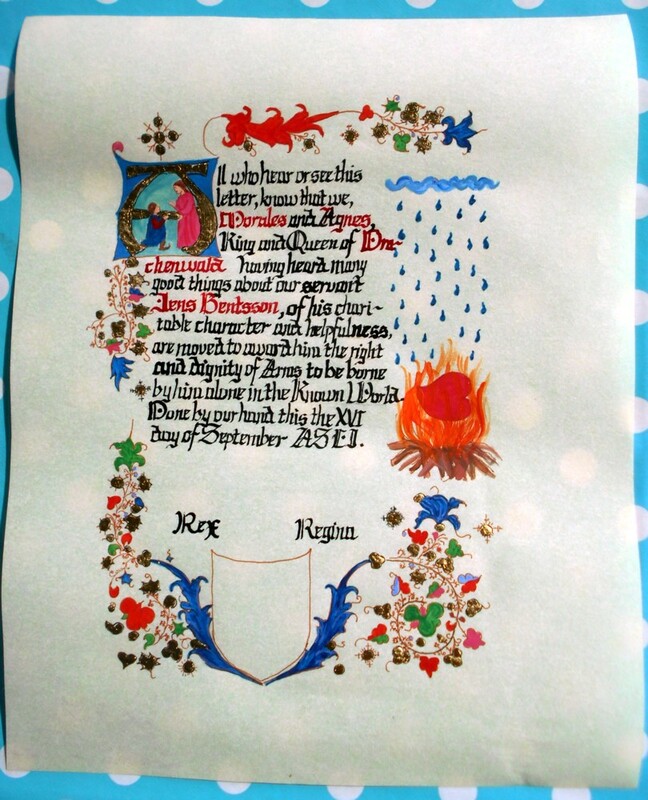 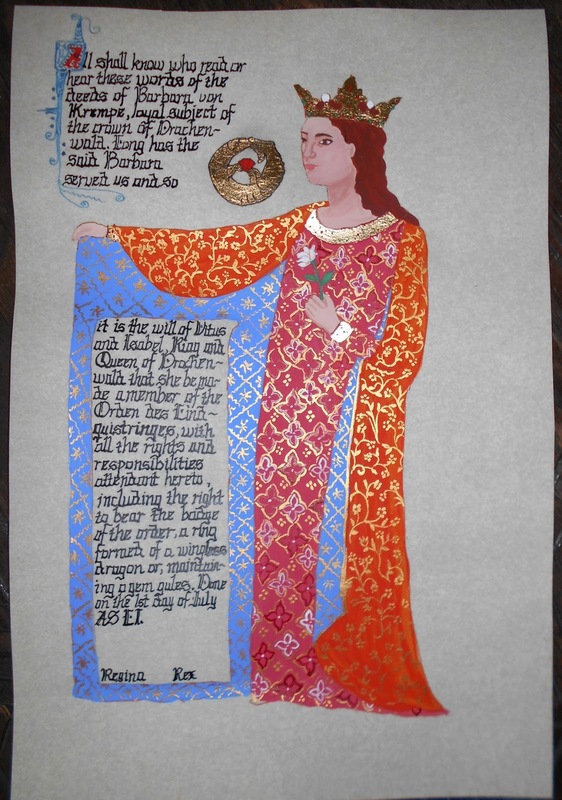 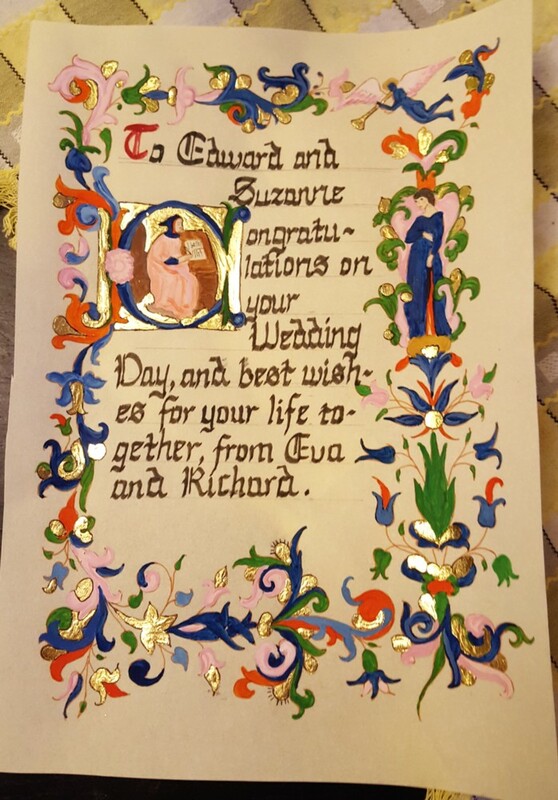 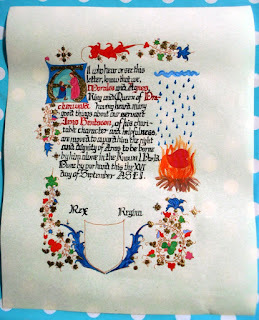 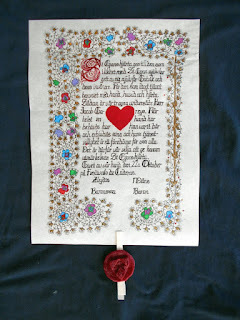 My first on real parchment, and first using uncial script, to match the early period favoured by the recipient. Blank scroll. 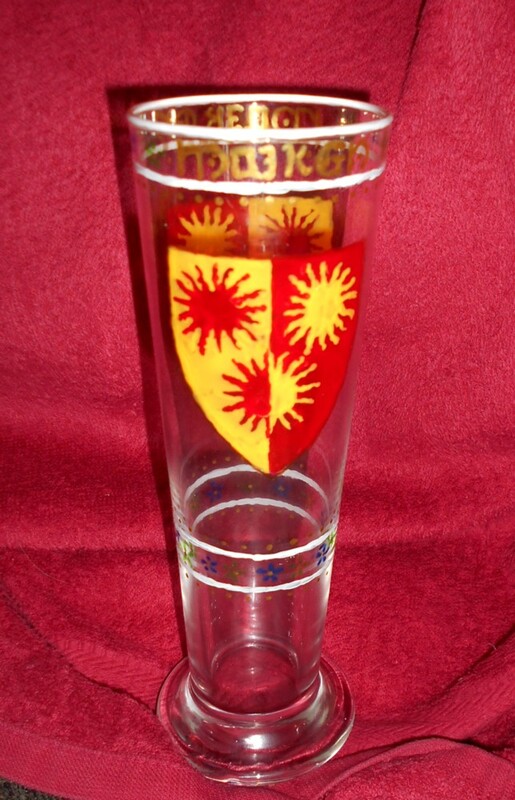 I don't know if it has been used. 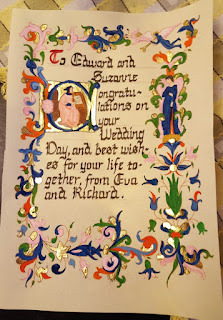 And a mundane one, made for my friends Edward and Suzanne's wedding.